Its probably me. 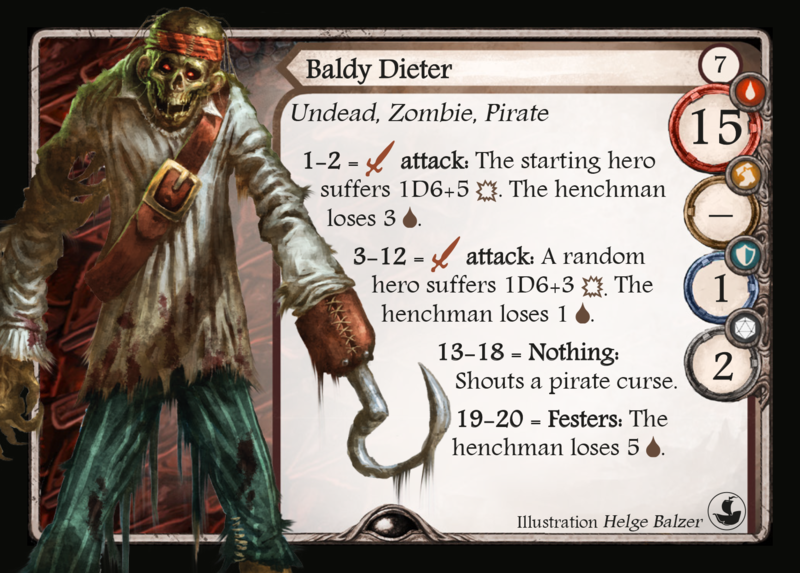 But I don't understand the wording 'festering' on the Leader card Captain Rietholtz from the Ship of Lost Souls expansion. Also can't find any reference anywhere. So I hope someone can explain me the ability. while Captain Rietholtz is in play, undead pirates only lose 2 life points due to festering. To fester = to rot/to molder. So he rottens. The image say's it all. Thanks for the quick and clear answer!